From the incredible beauty of the wonderfully flowering wispy wisteria delicately draped over the Chinese style bridge over the pond, where his water lilies grew to perfection, to the beauteous vision of blossom on apple and cherry trees from Japan, artist Claude Monet’s Garden at Giverny in France has become renowned for the diversity and divine aspects of the flowers that herald the arrival of each new season. By the turn of the twentieth century the promise of French Impressionist painters, if you decided to follow their lead, would have provided you with an optimistic view of a life well lived. The group of Paris based artists founded the movement succeeding against the odds, despite the often harsh opposition from the art community of France. During the 1870’s and 80’s they upset well regulated rules of academic painting, freely brushing their way to the future with their delicious depictions of light in all its changing forms, hues and colours. They also painted outdoors, which turned them into celebrities of sorts. People clamoured over rocks, up hills and down dales in an endeavour to catch up with them as they captured the morning mist rising off water or the setting sun dancing with jewel like vibration across its surface. 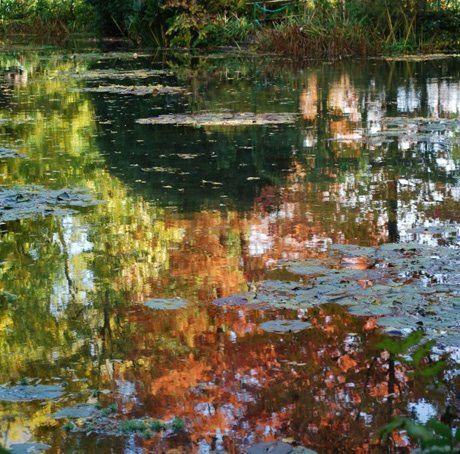 Following Claude Monet’s death his son Michel inherited his father’s house and garden at Giverny, which was about 46 miles west of Paris. 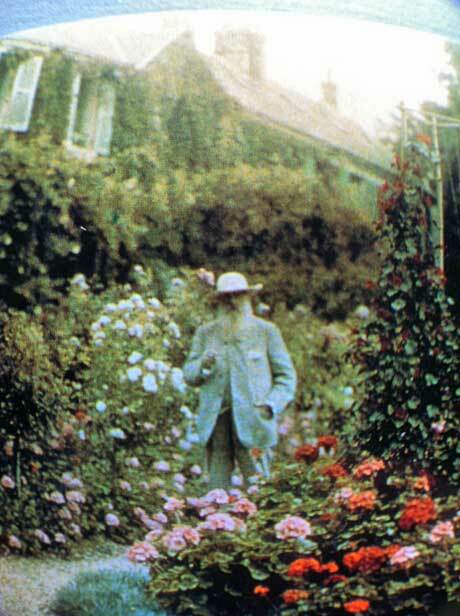 From 1883 Monet had created a garden there that ravished all the senses with its enthralling beauty. 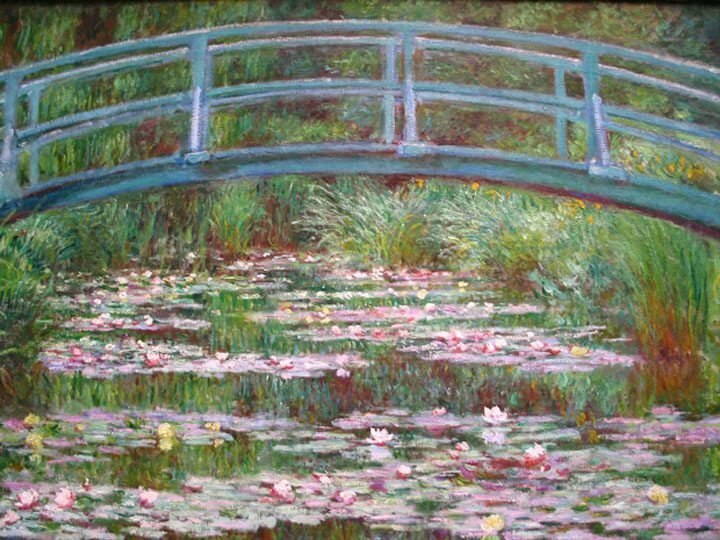 He famously created paintings of the water lilies, the flowers in all seasons and the Chinese style footbridge for posterity. When Michel passed he left the house and garden to the Academie des Beaux-Arts at Paris, who in 1977, following years and years of neglect, appointed Gérard van der Kemp as Curator. 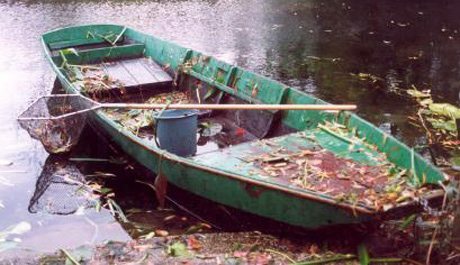 He engaged gardener André Devillers, who had the opportunity to go with Georges Truffaut – a distinguished gardener often invited to eat at Claude Monet’s table. Over two decades with the help of volunteers and supporters from all over the world, they began the reconstruction of the garden as it was during the time of the master. One of the volunteers who helped in the restoration program was Elizabeth Murray of California whose passion for the painters garden was revealed in her book Monet’s Passion. In 1985 Conservator of the Museé Claude Monet, M. Gérald van der Kemp invited Elizabeth Murray to come and live and work in the gardens. 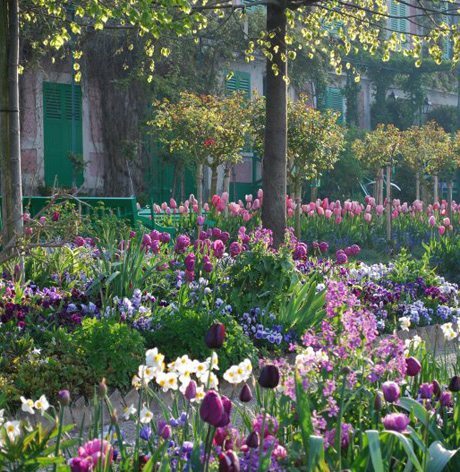 Her wonderful images of the garden during her time at Giverny were on view in 2012 in The New York Botanical Garden when they presented the landmark show Monet’s Garden. It was all about the Chinese ideal – the rhythm of nature refreshing the heart. The gardeners at The New York Botanical Garden worked for months to re-create their own impressions of Claude Monet’s Garden . To do that they needed to first produce all the flowers that were Monet’s favourites and have them flower on time. Gone are the days when performing such a miracle was left to God and nature. 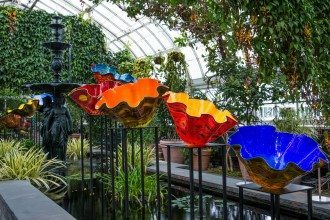 Inside the Nolen Glasshouses for Living Collections at New York the manager Marc Hachadourian and a team of horticulturists were kept busy preparing the thousands of flowers needed for the show, which caused a colourful sensation. The life and soul of his garden was inextricably bound up with that of Claude Monet, the painter after whose impression of a sunrise over water in 1872 had given the artistic movement its name. The journey they took through life was one they took together. Claude Monet (1840 – 1926) made sure the realistic style he and his colleagues championed would remain, as its protagonists always intended, fresh and full of possibilities. Monet’s art works have become popular over the last century because people from all walks of life, all creeds, all nationalities and cultures have been able to plug into the art movement whose message was, in reality, a true and spontaneous celebration of life. 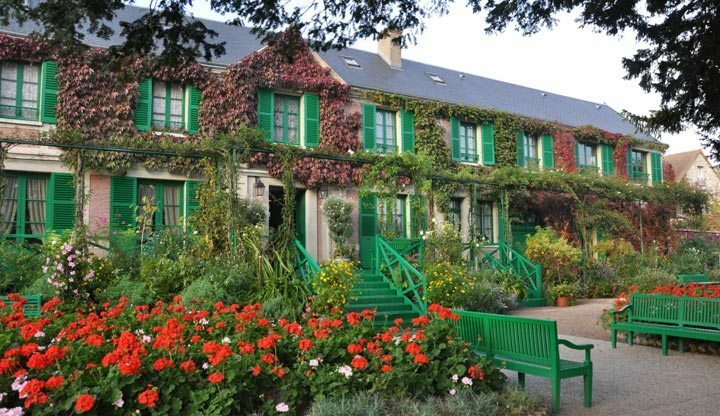 The memory of his life, times and contribution to the future of art, design, culture and style is preserved so well in the glorious house and garden that he created for his family at Giverny in France. The flowers Monet grew were all species that ravish our senses with their scent, simplicity or sophistication.The list includes, to name but a few, the peony, pansy and violet, the iris, snowdrop and Christmas rose, the lavender, the Daffodils, forget-me-nots and countless varieties of tulip. Then there is all kinds of clematis, marguerites, heliopsis, pelargoniums, marigolds, asters, dahlias, anémones, poppies, delphiniums, fuschias, hollyhocks and massed hydrangeas. 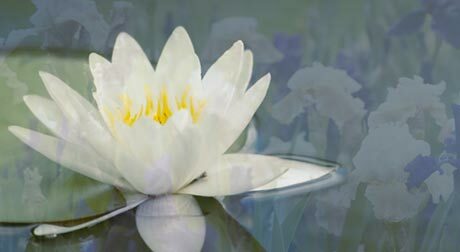 The water lilies floating on the pond captivate the senses. They all seemingly mingle magically together in this mavellous place where the memory of Monet and his family is celebrated. In this lovely house and garden that he purchased, developed and nurtured, they all lived in self sufficiency, raising chickens, gleaning their eggs, picking apples and pears and preserving them, while enjoying the magic of each moment spent in harmony with nature. 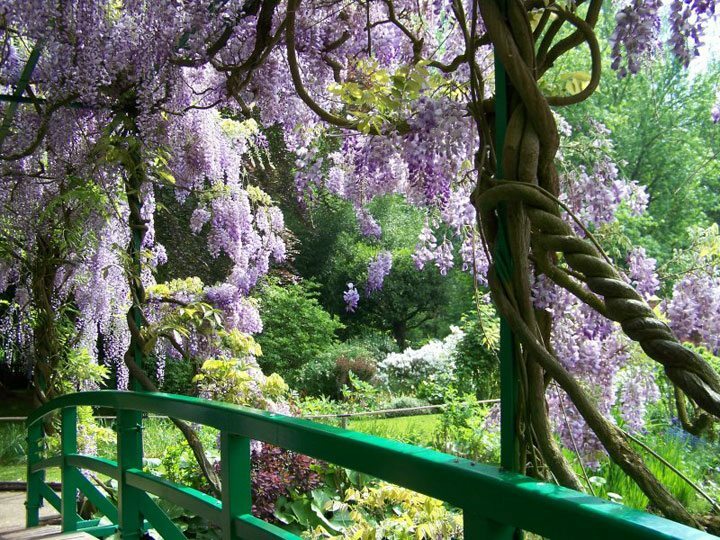 Monet’s garden is incredibly beautiful from April to October with the peak flowering in May and June each year. 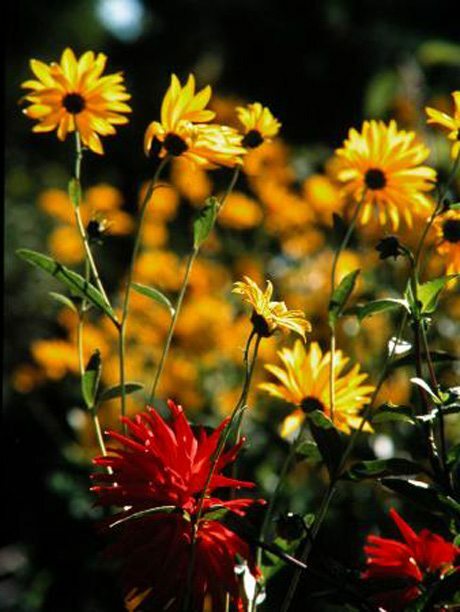 Flowers varieties bloom continually, one after another, which means the changes take place gradually with the seasons while showcasing its colours and brightness. His short sharp brush strokes completely beguiled the onlooker, as he plumbed the depths of his own emotions to provide an image of a living still life, one we would all relate to in some way or another. During Claude Monet’s lifetime when the water lilies were in bloom each morning one of the workers would take a boat out onto the lake and make sure that they were all in pristine condition, brushing away any soot that may have collected on their lovely heads, because of the coal driven trains passing nearby. In the heart of autumn the flames of colour burn with an intensity that is often hard to come to terms with, as nasturtiums glow and dahlias show off the luminosity and opulence of their colours. As his eyesight faded with the onset of cataracts, the depth of autumn colour was important, because they helped refresh his memory to keep on recording his impressions of what had gone before. 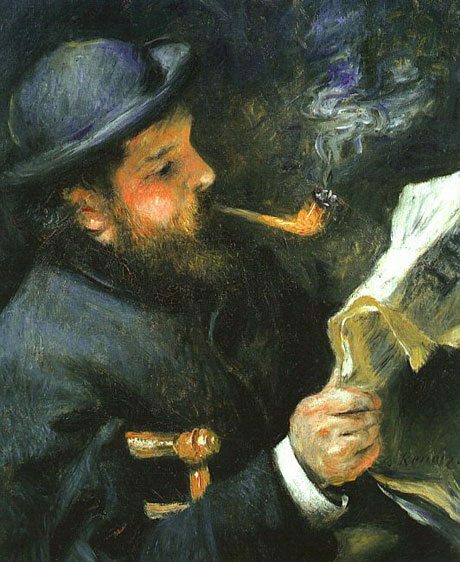 The influence of Impressionism painting spread far beyond France as artists, too numerous to mention, became skilled practitioners of the revolutionary new painting style. They included those in America and Australia. Sculptors too were inspired by this new way of giving an impression of transient light, as were musicians and writers all of whom transformed the idea into their sphere of influence. 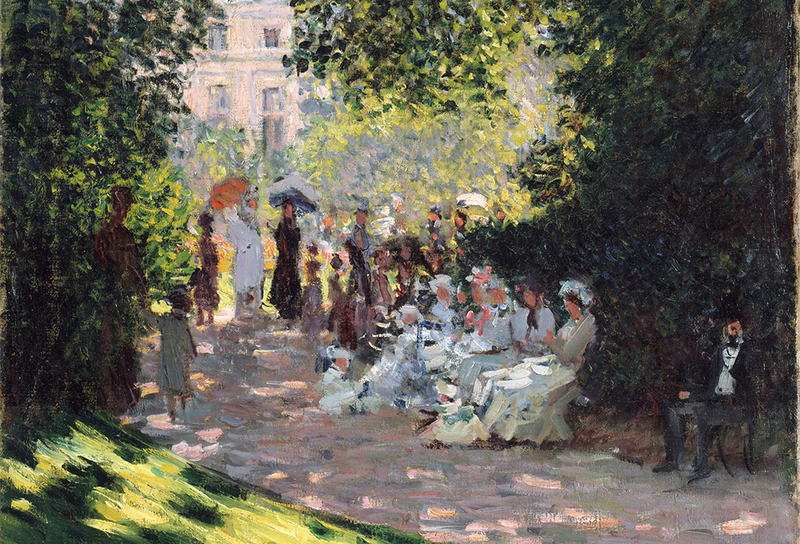 Post impressionists would go on to develop the genre in other directions, including emphasizing structure and form. However no one else ever really captured the illusionary mesmerizing momentary quality that the original group of artists, making first and lasting impressions, so brilliantly conveyed.